This is WOW News 247: 20-year-old Kylie Jenner To Become Youngest Self-Made Billionaire in The World Soon? 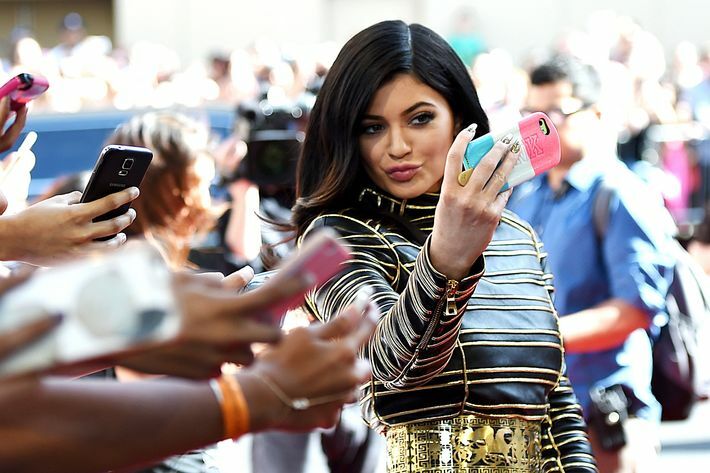 20-year-old Kylie Jenner To Become Youngest Self-Made Billionaire in The World Soon? Reality TV star Kylie Jenner is on track to becoming the youngest self-made billionaire in the United States thanks to the booming cosmetics company she launched two years ago, Forbes magazine reports. Jenner, 20, half-sister of Kim, Khloe and Kourtney Kardashian, debuted Kylie Cosmetics in 2016 with $US29 ($A39) lip kits containing matching lipstick and lip liner, and has since sold more than $US630 million worth of makeup. Forbes on Wednesday valued her company at nearly $US800 million, adding that Jenner owns 100 per cent of it. That with millions of dollars raised from TV programs, endorsements and after-tax dividends from her company, Forbes said Jenner was "conservatively" worth $US900 million. Another year of growth would make her the youngest-self made billionaire ever, male or female, the magazine said. Jenner first grabbed the spotlight when she appeared on the 'Keeping Up with the Kardashians' reality TV show with her mother and siblings. Forbes estimated that Kim Kardashian, who has her own cosmetics, clothing and mobile games lines, is worth $US350 million. "Social media is an amazing platform," she said. "I have such easy access to my fans and my customers."